Facebook is widely popular among all different age groups, demographics, and even across different continents. Because of its popularity, smart businesses establish a presence on Facebook to reach their current and potential customers. Facebook is a useful marketing tool, but if your business isn’t using Facebook ads to promote your content, you’re not making the most of it. We’ve compiled a list of the top reasons why you should use Facebook ads to promote your business. Facebook has over 2.27 billion active Facebook users. Because everyone is on Facebook, utilizing the website to promote your brand is the best way to ensure that you reach all of your potential customers. The average person appends 28% of their total time online on social networking sites, and 40 minutes per day on Facebook alone. For this reason, you can be sure that using Facebook will lead to a wide reach and that you’ll get your message across to the people you want to see it. Facebook is a great tool to reach your potential customers, but it can be difficult to reach them organically. In fact, because of an update to Facebook about a year ago, it is now almost impossible for businesses to gain visibility organically on Facebook. Instead, businesses need to use paid Facebook ads to gain visibility. These ads are highly beneficial, as you will achieve immediate visibility as soon as your ad is approved. Because of Facebook’s targeting tools, you can reach the people you want to reach and make sure that your target audience sees your content. Facebook advertising allows for highly specific targets. You can target the exact audience you’re hoping to reach, specifying a wide variety of demographics. You can target by location, age, gender, job, education, political affiliation, and even relationship status. The Facebook advertising tool allows for highly targeted ads, ensuring that your ads are reaching the right people. In addition to increasing your reach, you can be sure that your targeted ads will drive high-quality traffic to your site, including people likely to make a purchase. One of the benefits of Facebook advertising is that your ads will include a call to action that brings viewers right to your website. Based on your ad, you can choose between a few different calls to action that best suit your needs and goals. You can choose between shop now, learn more, sign up, book now, and download options. When you use these calls to action to bring potential customers to your site, you can be sure that you’re directing quality traffic to your site that is interested in converting. One of the biggest draws to Facebook advertising is its affordability. With Facebook ads, you can reach hundreds of people when you spend less than $10. You get to choose the best budget for your needs, the length of time the ad will run, and who the ad will reach. You can achieve a lot with a small budget, and you have the ability to see where a small budget takes you and increase it if the ad is useful. Facebook has very useful tools for its business users. Among these are the reporting tools that it provides for advertising. You can track the engagement of your sponsored content, the amount of clicks on your calls to action, your conversions, and more. You can use these reporting tools to conduct A/B testing and find out what works best on your ads and what doesn’t work. Through these reporting tools, you can create the most successful ad possible to generate the results you’re looking for. One of the top benefits of Facebook ads is the ability to retarget old visitors. When someone visits your site, they drop a cookie that then follows them around the web. This cookie allows for retargeting ads. These ads will show up on Facebook and will only be visible to people that visited your site and did not make a purchase. This type of ad is a great way to remind someone of your business who has already shown interest. Retargeting is a great way to reach people who are already interested in your business in order to close the deal. 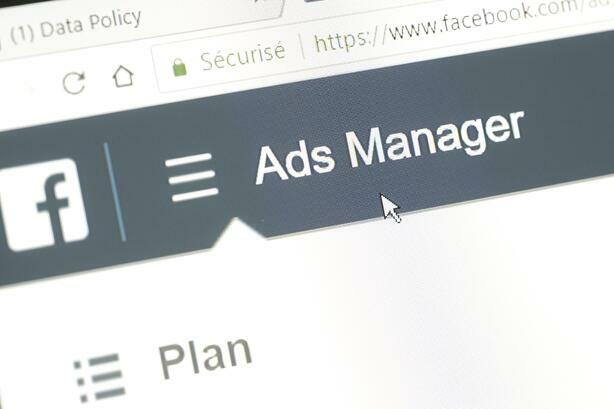 Although it may seem easy to get started with Facebook Ads, if you're not careful and detail oriented, you can end up blowing your spend with little to show for it. At ImageWorks, we've taken the time to study dozens of accounts and hone in on the mistakes that often cripple a company's first efforts. If you're concerned about your social ad's performance or are looking to outsource ad management to free up time in your schedule, we're a natural fit.